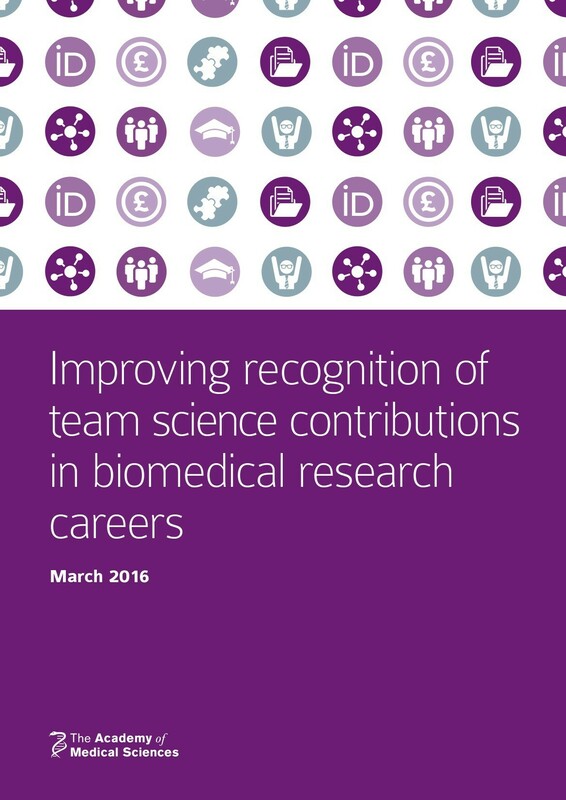 In March 2016, the Academy of Medical Sciences published a working group report on ‘Improving recognition of team science contributions in biomedical research careers’ (the Team Science report). A key finding was that the likely lack of recognition for one’s contributions is the main challenge for researchers participating in team science. The report outlined recommendations to bring about changes to recognition systems, funding, researcher behaviour, training, and career development of skills specialists. Two years on, we are bringing together key stakeholders to take stock of the progress and identify the existing challenges and opportunities surrounding team science, in addition to providing a platform to identify opportunities to best support team science for the future. The meeting will be co-chaired by Professor Anne Ridley FMedSci, Head of the School of Cellular and Molecular Medicine, University of Bristol and Chair the Team Science working group; and Professor Philippa Saunders FMedSci, Director of Postgraduate Research, University of Edinburgh, who was a member of the Team Science working group. Sir Mark Walport FRS FMedSci, Chief Executive of the newly formed UK Research and Innovation (UKRI), has agreed to provide the keynote lecture. For further information, please contact Amy Slater, Careers Policy Officer (amy.slater@acmedsci.ac.uk, 020 3141 3229).